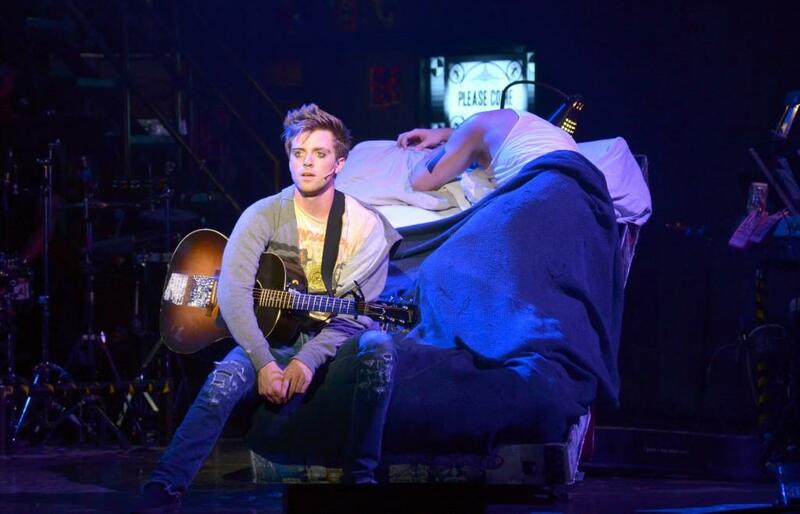 Alex Nee as Johnny in "American Idiot." About a month before what would have been the first day of his senior year at Northwestern, Alex Nee stood on a dark stage in Charleston, S.C., black nail polish and guyliner applied. Homework was the last thing on his mind. It was the third preview performance of the first international tour of “Green Day’s American Idiot,” a direct-from-Broadway musical in which Nee plays the role of Johnny, its main character. Nee, a Communication senior currently on leave from NU, will spend the next nine months as the star of the second national, first international tour of “American Idiot,” an adaptation of Green Day’s concept album by the same name. The opportunity arose last fall when the show’s casting director attended NU’s Mainstage production of “Rent,” in which Nee appeared as Roger. While Nee said this tour marks the most major production of his career, it is not his first time performing professionally. After a small role in a third-grade play, Nee’s parents allowed him to audition for regional theater in the San Francisco area. His pivotal acting experience came at 10 years old in a performance of Christopher Durang’s “Sister Mary Ignatius Explains It All For You,” which dealt with subjects he had never encountered prior. Since then, performance in all forms has become Nee’s passion. Dan Cantor, Nee’s acting professor of two years, said Nee’s numerous talents set him apart from most performers. Cantor says while all these things are important, what really defines Nee is his commitment to the craft. It was those assignments at NU that Nee said prepared him for the professional world. As the youngest person in the cast, he said a solid work ethic and constant drive to improve have been vital to his success. “I know a lot of people reference this, but that classically Northwestern mentality of working really hard and not accepting what’s good enough, but going beyond that … definitely helps me get up to the level that other people are at,” he said. Still, Nee said finishing his NU degree is a priority. Cantor’s predictions for Nee’s future are just as open-ended.